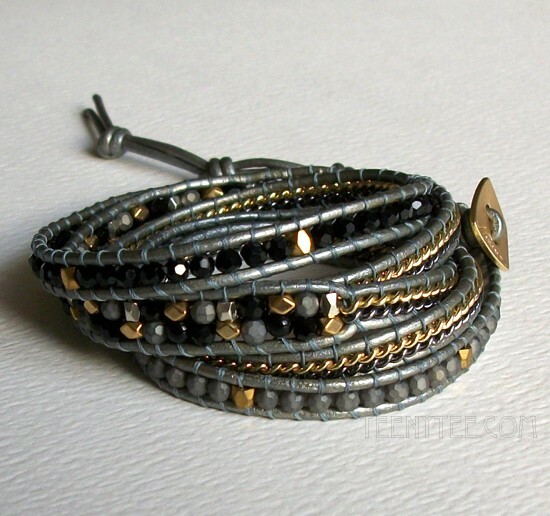 5 Wrap up various beads and leather bracelet. 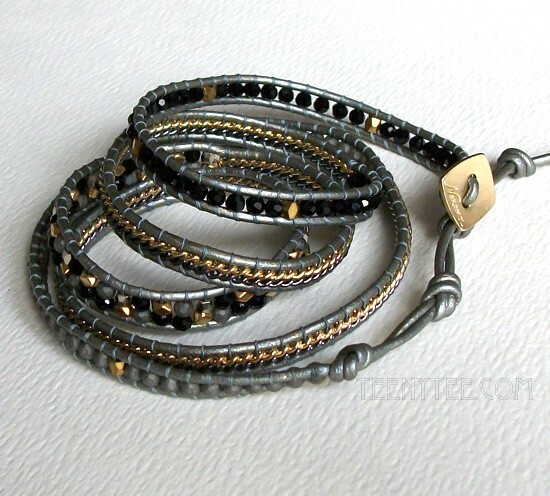 The mix of faceted black and grey crystal beads, faceted grey glass beads, faceted gold plated and silver tone metal beads. 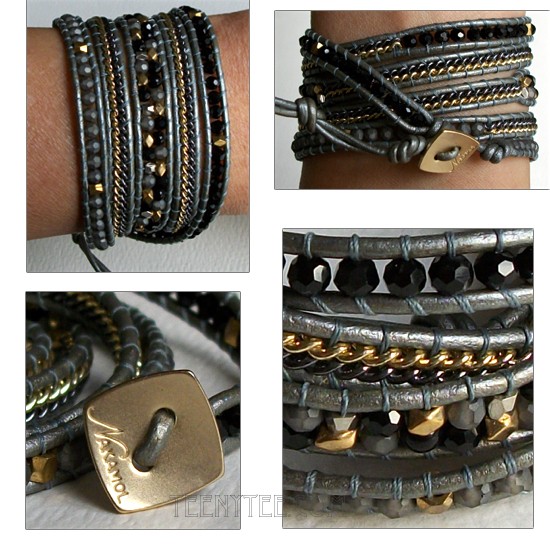 This bracelet also includes 2 lines of gold plated chain & gunmetal chain section. Inset with grey leather cord. 32” length (without closure). 2 widths of 5/16” (9 mm) and 1/4” (7 mm) . Gold plated button with Nakamol logo closure with three Hoops to adjust to 6”, 7" and 8" wrist. 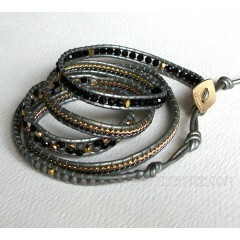 Box is not available but we ship this bracelet with a pouch.